Ya .Here is the cleaner version of "Upward ..." Hope you guys enjoy it ^^ . thanks for sharing, lotsa people are gonna be real happy. one thinough: this is esubmission right? o_0 hmm..maybe you should delete the older one? >.< its not allowed in case of wallpapers.. Ya .I delete the older version so this won 't be deleted ^^ . Thanks for supporting me ^^ . Oh, I like this version better! Thank you so much for cleaning it up! really nice. thanks for cleaning this up. it looks wonderful! nice scan i love the scans where they wear normal clothes. They are so cool in this pic! Thanks for sharing! I love this--I especially love the punkish style they wear. i like ichigo's outfit :D~! Thanks for providing such a nice, clean version. nice scans ! renji kun is so kute ! 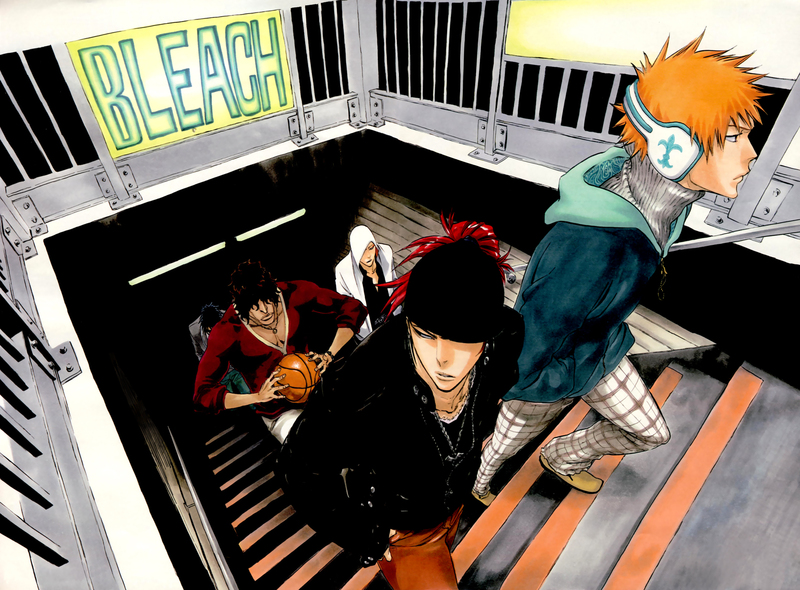 That pic is one of the greatest ever made by Kubo!